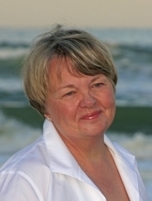 Sally Buck founded Fiduciary Services, Inc. in 1986. As a practicing attorney, Sally recognized the need for an independent entity that would provide professional trust and accounting services to banks, law firms and private fiduciaries. Continuing Education Speaker for Erie County Bar Association, New York State Bar Association and Various Accounting Associations.